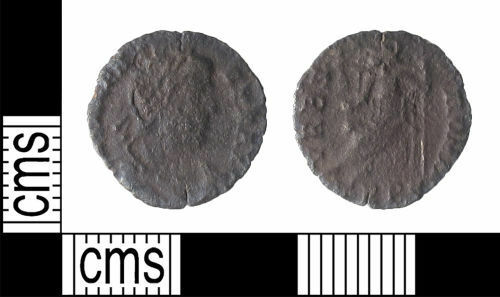 A silver Roman siliqua of Valens dating to the period AD 367-378 (Reece Period 19). VRBS ROMA reverse type depicting Roma seated left on throne, holding Victory on globe and spear. Mint of Trier. RIC IX, p.19, no.27 or p.22, no.45. Reverse description: Roma seated left, holding Victory on globe and spear.